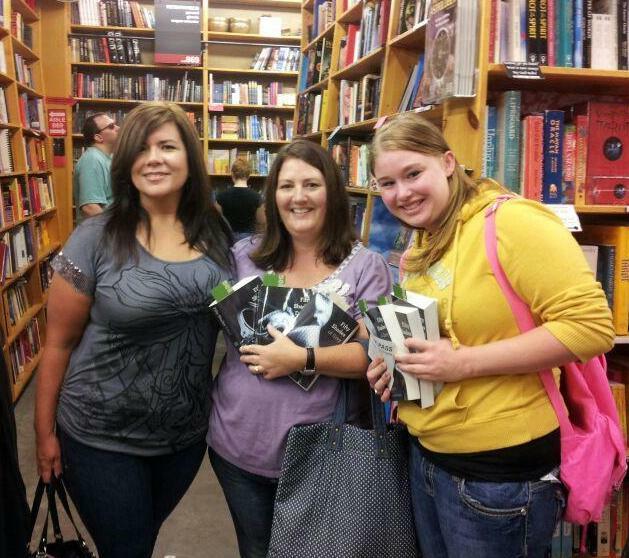 Fifty Shades Film: E.L. James Takes Over Portland! E.L. James continued her U.S. book tour with a stop at Powell's in Portland, Oregon. 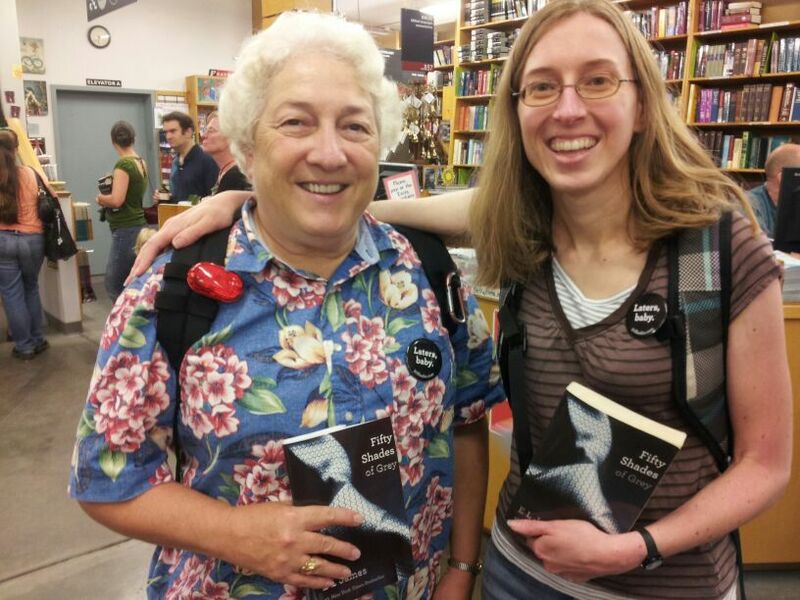 Eight hundred people showed up and waited all day to have their book signed by E.L. James, the best selling author that changed the face of publishing. Our correspondent, Tami, a.k.a. 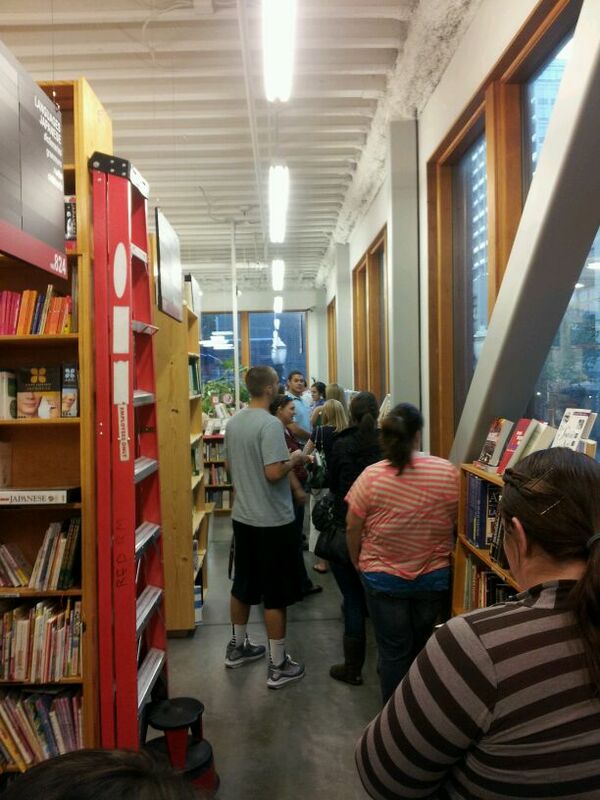 @NextstopSF, was on the scene taking pictures and chatting with fans. The lines were so long they snaked inside, outside, through the book shelves and upstairs into a third floor room. 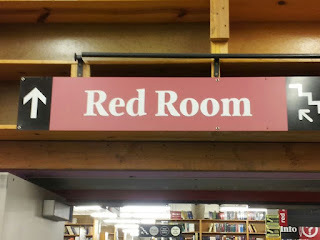 Tami was originally told, by store staff, that E.L. James would be signing in the aptly named, "Red Room", but the crowd was so big, they had to move her one floor higher to the "Pearl Room". Even after waiting in long lines, the fans were happy to be there and happy to pose for photos. 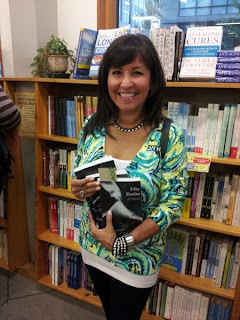 The picture below, taken by our correspondent Tami, was used on E.L. James Official Website tonight. That is so exciting! A huge thanks to @NextStopSF for your great reporting and awesome pictures. This mother and daughter came out to have their books signed. convinced her daughter to read it. Yes, men read Fifty Shades of Grey! 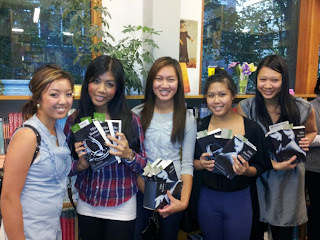 If you were at this event send your pictures to us @FiftyShadesFilm and we will add them to this post. Fifty Shades Film will be tweeting and posting pictures LIVE from the Los Angeles event! If you are going to be there, tweet us. 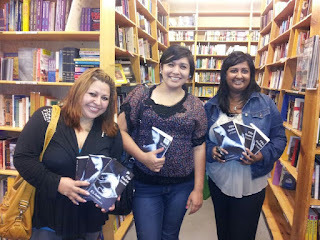 We are looking forward to meeting Fifty Shades fans and would love to get a picture of you with your book to post on our site.